CG WAF Gateway Secures and Optimizes Web applications. 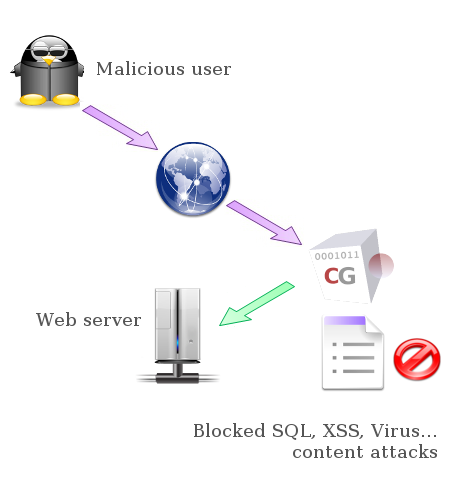 CG WAF Gateway can be powered by an antivirus, a Web cache, a Web traffic compression facility, a Web traffic logger, an SSL Offloader, a traditional firewall, a Web server load balancer and a Web traffic shaper. Redundant WAF Gateways can be implemented in a HA (High Availability) mode to ensure a fault tolerant architecture.